Important cartoonist working with Punch for about 50 years. Was trained at Birmingham School of Art and first art published in Punch 1927. In addition to Punch contributed cartoons to most of the popular magazines of the era. 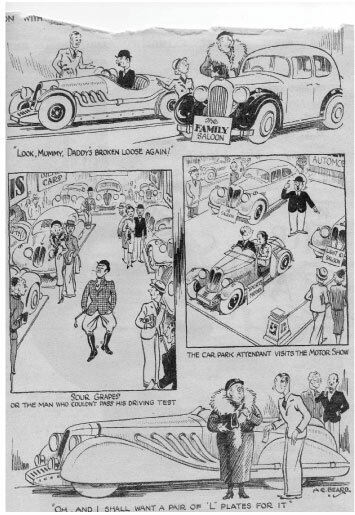 Illustrations in The Motor magazine see October 1934 for example and full page cartoon 4th October 1938.